Snow-Camp takes over Hotel L’Aubergade for the 8th annual Alpine Challenge. This year, a massive twenty teams of four competed against each other in an attempt to be crowned Alpine Challenge champions 2017. 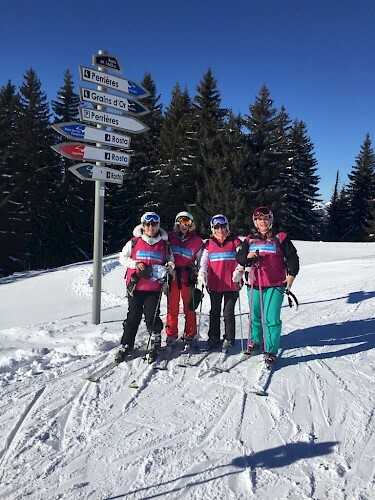 Over two full-on days, we hosted Snow-Camp at Hotel L’Aubergade as each team tried to ski or snowboard to 37 checkpoints in a tough endurance race across the Portes du Soleil ski area, whilst raising money for the fantastic charity. With plenty of snow and beautiful blue bird skies, conditions were perfect and spirits were high, making for a lively atmosphere both inside and outside of the hotel! All of the competitors were excited to be taking part, and the weekend made for a fantastic team experience! 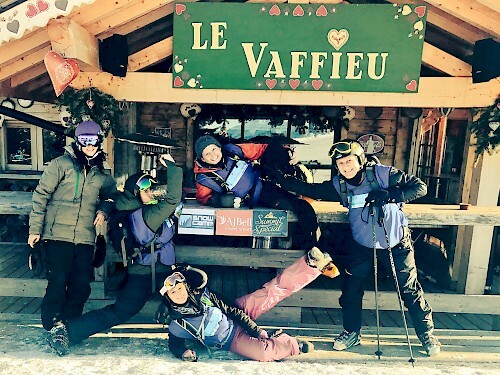 Everyone involved had a great weekend of fun and laughter, and L’Aubergade were proud to yet again host one of the main snowsports charity events of the year. Snow-Camp is the only UK charity that raises money to support Inner-City Young People with snowsports, life-skills and vocational opportunities. Formed in 2003, the organisation aims to empower and engage young people throughout the year at the UK’s indoor and artificial snow slopes. Their Journey of Programmes also provides a platform for young people to obtain accredited qualifications and vocational skills alongside their skiing or snowboarding, giving them the best chance at creating a positive future for themselves. Everyone who entered the challenge said it was a fantastic event of endurance, skiing, socialising and supporting a truly worthy cause. This year, Team Snow Chance took away the AJ Bell Top Fundraisers 2017 title by raising over £6000 for the charity! Team Eat, Sleep, Ski, Repeat claimed the AJ Bell Alpine Challenge trophy, reaching a huge 36 checkpoints and skiing a massive 237km. By the end of the event, a huge £50,000 was raised, with further donations promised by some of the teams. Congratulations to the winners, and everyone that took part in the incredible weekend. We’re already looking forward to next year! !